I read with interest Today’s article “Singapore is ‘World’s costliest city to live in’”. The truth of the matter this article is based on a twice yearly survey intended as a guide for human resource managers to calculate compensation packages for expatriates and travellers. To be fair to Singaporeans, articles on this matter should be re-titled for accuracy. Savour a moment how the Singapore Dollar appreciates against other currencies and one will understand why Singapore has become costlier for the rest of the world, but not its citizens. 1) When expatriates and business travellers come to Singapore, where do most of them live? In HDB flat in out-skirts or private condos in the city? 2) When expatriates and business travellers come to Singapore, where do most of them eat at? At Foodfare, hawker centres or at upmarket restaurants and eateries? 3) When expatriates and business travellers come to Singapore, where do most of them shop for the daily necessities? At Fairprice, neighbourhood shops or at Takashimaya and upmarket malls? 4) When expatriates and business travellers come to Singapore, where do most of them go for a drinking session to unwind? At the coffeeshops or in bars at Boat Quay, Clarke Quay and Dunno What Quay? 5) When expatriates and business travellers come to Singapore, where do most of them go for medical consultations? Polyclinics, family clinics or Mount E, Mount A-Z? 6) When expatriates and business travellers come to Singapore, how do most of them travel? MRT trains and busses or private cars and taxis? Forgive me, these are rhetorical questions really. 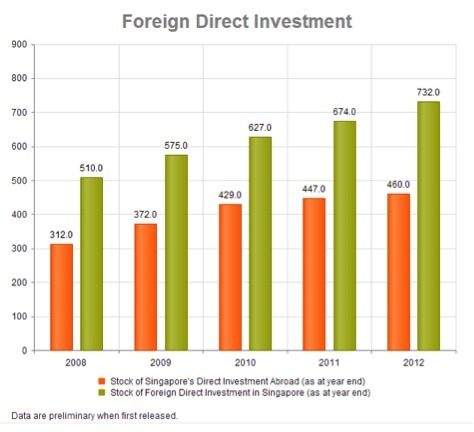 From 2008 to 2012, we saw an increase of Inward Foreign Direct Investments grow from USD510 billion to USD732 billion. Also, in 2013, Singapore saw 15.5 million of tourists arriving in Singapore. Besides, there are also many rich and famous people from US, Europe, China and Taiwan moved to Singapore and called it home. If indeed, Singapore is the World’s costliest place to live in, why would investors, tourists and these people still come? I could only say that it would “cost” them more if they were not here.